Shiver looks interesting and I'm still reading Graceling. Thank you for posting. Ooooo! I had seen the cover for Fire, but not for Shiver. As if I wasn't already dying to read it! That cover is gorgeous - can't wait! And I'm looking forward to catching up with Scarlett and Spencer, too. Thank you, thank you, for posting these! 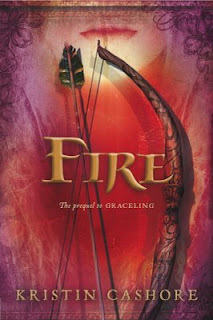 The Fire cover is beautiful, plus it's similar enough to Graceling so that you can tell it's part of the same series. 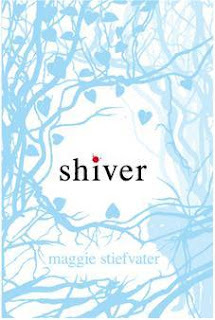 The Shiver cover is really striking, I would definitely pick it up in the store to have a closer look. Oh, I can't wait for Fire and Shiver. The covers a re great. Do you know if Scarlett Fever is a sequel to Suite Scarlett (a book I haven't read)? The model looks the same. Chelle, you are so welcome. I, too, am really excited about getting back together with Scarlett and Spencer. Such a great brother/sister relationship there. Li, you're right. I'd pick Shiver up for sure based on the cover alone. It has a bit of the How I Live Now going on. Very exciting. Anon, yes! Scarlett Fever is the sequel to Suite Scarlett and I highly recommend it. Hilarious. Very fun - will definitely be keeping my eyes open for these in coming months. Janssen, I agree. Much to look forward to. Erin, lol. They do look tempting, don't they? The cover art for Fire is simply stunning. I have Graceling sitting near the top of my YA TBR pile... it's also a lovely cover. I also have to agree that shiver looks very tempting. I'm drawn to it as well. Christine, Kristin Cashore really lucked out in the eye-catching, sumptuous cover department, huh? I think you'll enjoy Graceling. Emily, I know! So red and fiery. I'm very glad you liked Graceling. Hopefully Fire will be just as good.